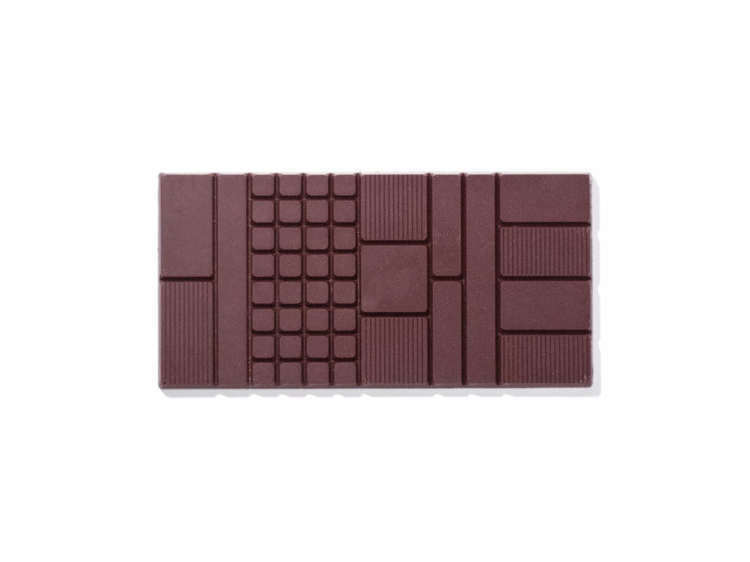 These chocolates are perfect products that recall Apple products in their high level of design sensibility. The package designs and carefully balanced texture and flavor of the chocolate bars, and the shape they have, make these products in which nothing is left to chance. 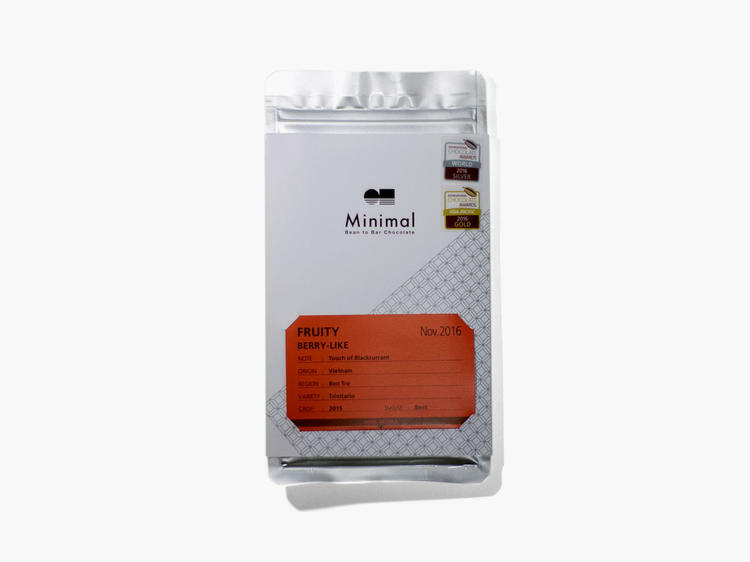 The future of Tokyo chocolate can be found here at Minimal. 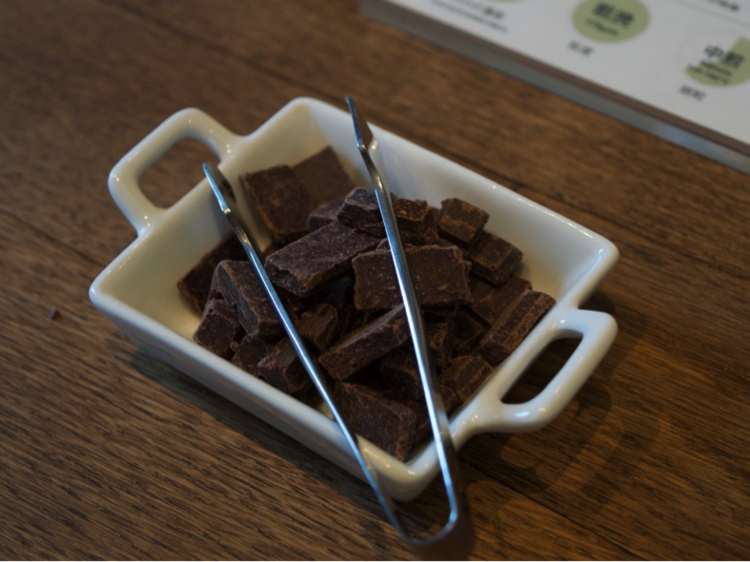 In recent years, the Tokyo chocolate scene has been dominated by the bean-to-bar trend, with a focus on handcrafted sweets and careful selection of ingredients. This is in some sense a return to roots, so the designs are sometimes “craft” oriented or “DIY” in style. But that isn’t the case at Minimal. They are refined products in which the package, design, and brand have all been imbued into the store, making them like Apple products. Each product is stylish in its own right. They employ aluminum packages to retain the flavor of the chocolate for longer. All bars are packaged in aluminum package. There is a thought process behind the unique shapes of the chocolate bars, too. There are sections for biting, for comparing the texture, and so on. Each piece serves a different purpose. The vertical piece at the left is intended for sharing. The piece at the right lets you sample the difference in texture with each bite. All of the products are explained and accompanied by samples, so you can taste them as you go, comparing the differences. 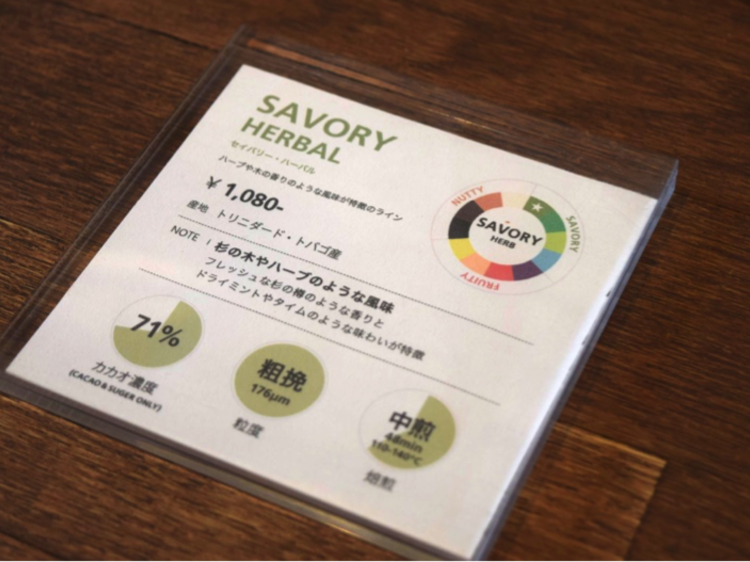 In addition to listing the flavors and features of each product, they also list the production site, bean type, harvest date, cacao density, bean size, roasting method, and more on a recipe card on the package. The recipe cards, organized through a simple system, let you compare different products. The recipe cards accompany product samples, letting you see for yourself how they line up. Minimal is in every way aiming to update the chocolate culture in Tokyo. You must visit the shop yourself and fully experience their worldview with your five senses. Last updated on July 07, 2018. The information on this page may not reflect the current trends.